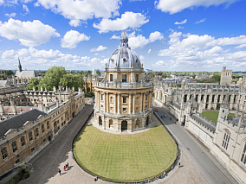 The Cotswolds, with all its natural beauty and charm, has not just proved a rich location for dozens of feature films, but the area has also been used for a wide range of television programmes for years. 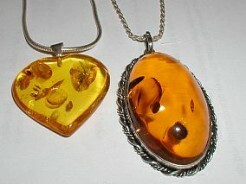 Theses have ranged from period costume dramas, sitcoms, soap operas and children's programmes. Even its animals have got in on the act! 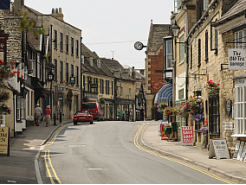 So forget the Radio Times...enjoy our Cotswolds television guide instead. 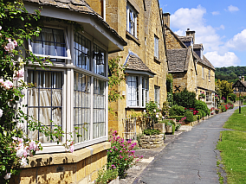 Programme makers have found the Cotswolds and its surrounding towns the perfect place to film period dramas. 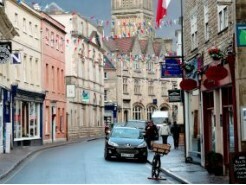 Cheltenham featured as a location for the award-winning television adaptation of Jane Austen's classic novel Pride and Prejudice, which was first broadcast in 1995. 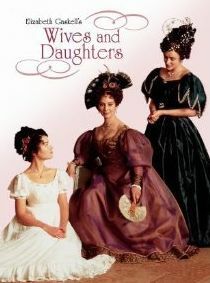 The six-episode, adapted by Andrew Davies, starred Jennifer Ehle as Elizabeth Bennet, but it will be remembered by many a female viewer for the scene in which Colin Firth, as Mr Darcy, emerged from a swim in a lake. 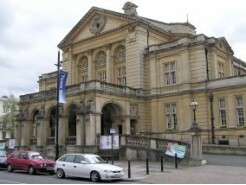 Parts of the drama were filmed at Cheltenham Town Hall in Imperial Square and in Oxford Parade. Another TV adaptation of a popular Jane Austen novel which hit the screens in 1995 was Persuasion, which was also partially filmed in the Cotswolds, at Barnsley Park, near Cirencester, which became Kellynch Hall. The TV-film starred Amanda Root as protagonist Anne Elliot and Ciarán Hinds as Captain Frederick Wentworth. 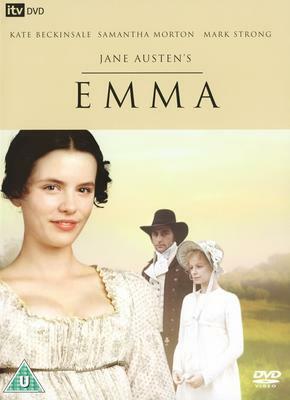 Jane Austen novels must be suited to the Cotswolds as both Sudeley Castle, situated just outside Winchcombe, and Stanway House, a few miles up the road, were used as locations for the 1996 TV adaptation of Emma, based on Austen's novel of the same name, starring Kate Beckinsale. 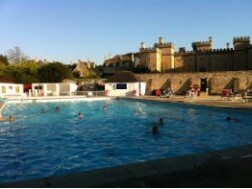 Sudeley was used for exterior shots of Donwell Abbey, while Stanway House was used for interior filming. 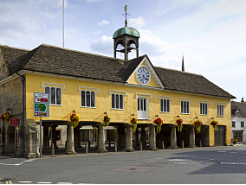 Other locations in or near the Cotswolds were the picturesque village of Lacock in Wiltshire and Broughton Castle, near Banbury. Sudeley Castle had previously been used for the filming of the 1994 TV mini series Martin Chuzzlewit, based on the novel by Charles Dickens. A top notch cast included Paul Scofield, John Mills, Pete Postlethwaite, Joan Sims and Julia Sawalha. 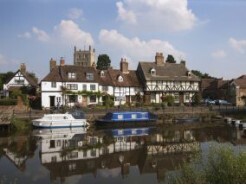 Sudeley was used as Martin Chuzzlewit's library at Temple, while other nearby locations included the historic Fleece Inn at Bretforton, near Evesham, which became the Blue Dragon Inn; Honington Hall, near Shipston-on-Stour; and Gloucester Docks. Stanway House was one of several locations in the Cotswolds used for the filming of the 1999 TV drama The Wyvern Mysteries starring Derek Jacobi. Based on a novel by 19th Century writer J S Le Fanu, it is the story of a young girl brought up by the man responsible for her father's death. She falls in love with his eldest son. 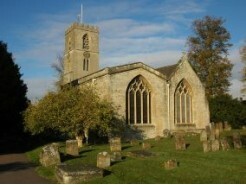 Filming also took place in Northleach and Guiting Power. Stanway House also provided the setting for the 1994 TV drama serial The Buccaneers, based on Edith Wharton's unfinished novel about an anarchic group of adventuring, free-spirited young women who, snubbed by New York's elite, take aristocratic Victorian England by storm. 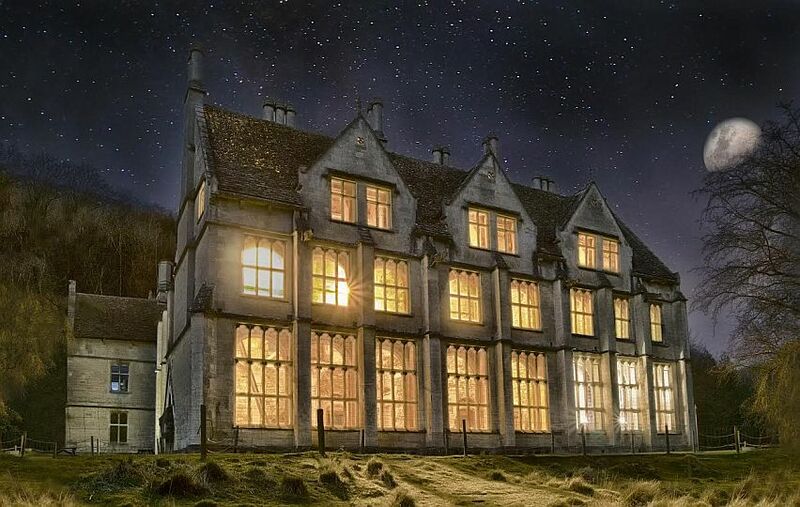 Owlpen Manor, the famous Tudor manor house near the lovely Cotswold village of Uley, has been used as the location for a number of feature films, game shows and documentaries in recent years. Filming took place at the manor for The Other Boleyn Girl, also released in 2008, starring Natalie Portman and Scarlett Johansson. TV programmes filmed at Owlpen Manor over the years include Most Haunted (2004); What the Tudors did for us; Countryfile; Watercolour Challenge; and various antiques, cookery, gardening, travel, and art programmes. Owlpen Manor also appears as Bramscote Court in the BBC's period drama adaptation of Tess of the d'Urbervilles (2008), starring Gemma Arterton, and it was by no means the only place in Gloucestershire to provide a location for the BBC's first-ever adaptation of Thomas Hardy's novel. 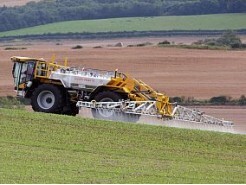 Other locations included Chavenage House, near Tetbury; Dyrham Park; Marshfield; Owlpen Manor, near Uley; Sudeley Castle, near Winchcombe; and Newark Park, Ozleworth. 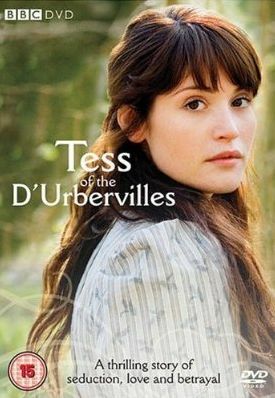 The four-hour drama, which saw Arterton taking the lead as Tess Durbeyfield, a low-born country girl whose family find they have noble connections, also featured Ruth Jones, of Gavin & Stacey fame. 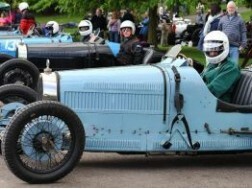 Castle Combe, the pretty Wiltshire village that has proved a popular setting for several major movies, has also attracted television film crews. 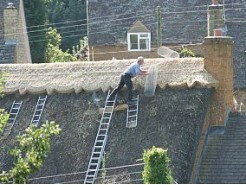 In 1989, a TV episode of Agatha Christie's Poirot: "The Murder of Roger Ackroyd" was filmed in the village. 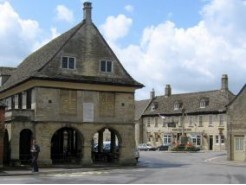 The Stirrup Cup pub in the Cotswold village of Bisley was used in the filming of a scene for a 1989 episode of the ITV series Forever Green, which starred Pauline Collins and John Alderton as a couple adapting to life in the country. 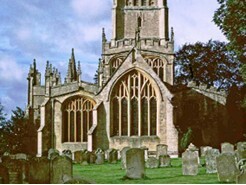 The House of Eliot, a TV series broadcast by the BBC between 1991 and 1994, was partly filmed in Cheltenham and in the Painswick and Tetbury areas. The series starred Stella Gonet and Louise Lombard as two sisters in 1920s London who establish a dressmaking business and eventually their own haute couture fashion house. It was created by Jean Marsh and Eileen Atkins, who had previously devised Upstairs, Downstairs. 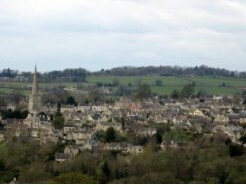 Cheltenham locations used for filming included Pittville Pump Rooms, Pittville Park and Regent Street, while Painswick House and Chavenage House, near Tetbury were among the other locations used. The Queen's Hotel in Cheltenham, was used for exterior and foyer shots in scenes for the Second World War serial Jenny's War (1985). The serial was about a mother who searches for her son Peter, who was shot down over Germany, and who she believes is still alive. 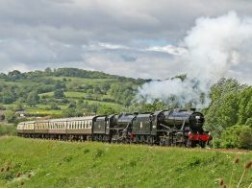 lt starred Nigel Hawthorne, Cheltenham-born Robert Hardy, Christopher Cazenove and Hugh Grant. The hotel in Cheltenham's Promenade underwent a startling transformation, becoming the Hotel Das Konigen, Leipzig, circa 1941. When filming began and locals saw swastikas, Stormtroopers and Nazi vehicles around the hotel, it literally brought traffic to a standstill and created chaos in the town centre. 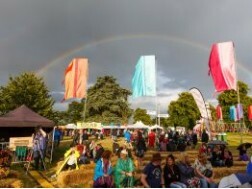 The Cotswolds will forever be associated with the author Laurie Lee and, in particular, his novel Cider with Rosie which described his childhood in the village of Slad, near Stroud, in the period soon after the First World War. 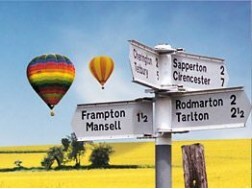 In 1998, a television adaptation of Cider with Rosie, featuring Juliet Stevenson as Laurie Lee's mother Annie, used the Cotswold villages of Sapperton and Avening as locations, as well as Lee's home town of Stroud, along with film studios in Cheltenham. 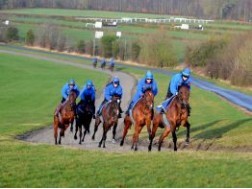 In 1998, Cheltenham provided the setting for much of the action for a BBC drama series Vanity Fair. 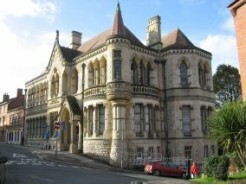 Philip Glenister, Nathaniel Parker and Natasha Little were among the stars who could be seen filming at locations such as Cheltenham's Pittville Pump Room, Oxford Street, Priory Terrace (as London's fashionable Fulham) and Cheltenham Town Hall (for the grand ball in Brussels), as well as Gloucester Docks which became the Port of Madras. In 1999, the beautiful scenery of the Cotswolds provided the backdrop to Forgotten, a TV adaptation of a modern psychological thriller about a woman's obsession in finding the man who killed her child 20 years earlier. The drama starred Amanda Burton and Paul McGann. 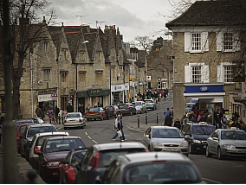 A number of pretty Cotswold villages featured as locations in the award-winning 1998 TV adaptation of Charles Dickens' classic novel Our Mutual Friend. The mini-series starred a number of household names including Stephen McGann, Keeley Hawes, Anna Friel and Timothy Spall. 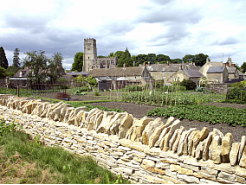 Among the period locations used were the neighbouring villages of Upper Slaughter and Lower Slaughter, near Bourton-on-the-Water, and Eastleach, near Burford. Woodchester Mansion, the unfinished 19th Century Gothic revival mansion house near Stroud, has featured in a number of TV productions. Hidden in a secluded Cotswold valley, the Grade 1 listed mansion was mysteriously abandoned mid-construction in 1873. In 1982 a programme in the BBC wildlife series Naturewatch, starring Julian Pettifer, was filmed in Woodchester Park. Woodchester Mansion has also become a regular haunt for ghost hunters. 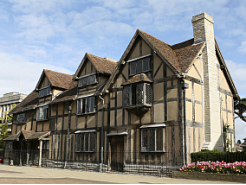 The TV programme Most Haunted Live featured the house in 2003, and again in 2005. 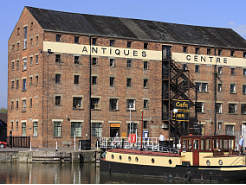 The building has also featured on the ghost hunting show Hauntings and in an episode of Ghost Hunters International. In 2003, several scenes from an episode of ITV's Magick Eve concerning the Gothic subculture were filmed within the house along with a performance by the UK Goth band Cauda Pavonis. The mansion played a starring role in the 2006 BBC production of Dracula, featuring David Suchet, when it was used as Dracula's dilapidated castle. Another popular Gloucestershire location for TV and film crews is the 12th Century Berkeley Castle, on the southern edge of the Cotswolds. Movies such as The Other Boleyn Girl (2008) starring Natalie Portman and Scarlett Johansson have been filmed at the castle, along with TV dramas such as Robin of Sherwood and documentaries such as Princes in Waiting, Great Country Houses and Dead Famous. In May 2014, camera crews were at Berkeley Castle to film a TV adaptation of Hilary Mantel’s historical novel Wolf Hall. Set in the 1500s, it is a fictionalised account of Thomas Cromwell’s rise to power in the court of Henry VIII and is due to be screened on BBC Two in 2015. The six-part drama features Mark Rylance as Thomas Cromwell and Damian Lewis, star of the hit TV series Homeland, as Henry VIII. 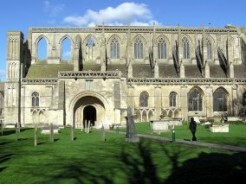 Stanway House, Chastleton House, Gloucester Cathedral, Berkeley Castle and Lacock Abbey in Wiltshire were also used as period locations for Wolf Hall. 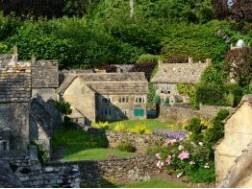 In 1998, the British TV series Berkeley Square was broadcast, having been filmed at various locations including two homes in the Cotswolds that have proved particularly popular with film-makers. Set in 1902, the story focuses on three young women from very different backgrounds who are employed as nannies by wealthy families living on London's exclusive Berkeley Square. Chavenage House, near Tetbury, and Stanway House, near Winchcombe, provided perfect locations for the 10-episode serial. The following year, 1999, saw the release of another period TV drama serial featuring an all-star cast that had also been partially shot in the Cotswolds. Wives and Daughters focuses on Molly Gibson, the only daughter of the town doctor living in a provincial English town in the 1830s, and the changes that occur in her life after her widowed father chooses to remarry. The BBC's four-part serial featured Justine Waddell, Bill Paterson, Keeley Hawes, Rosamund Pike, Michael Gambon, Penelope Wilton and Ian Carmichael. 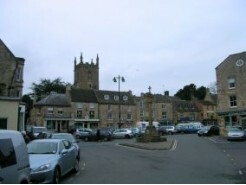 Two locations in South Gloucestershire were among those used for filming the drama - Dyrham Park, a baroque mansion in an ancient deer park, and the small market town of Marshfield. 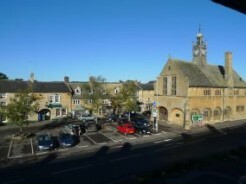 The Bull Hotel in Fairford temporarily became the Griffin Hotel while shops in the pretty Cotswold town were converted with period displays for the filming of the 1987 TV period drama Wreath of Roses. This adaptation of Elizabeth Taylor's disturbing novel saw Trevor Eve play a mentally unbalanced young poser, who draws the reluctant Joanna McCallum into a doomed relationship. 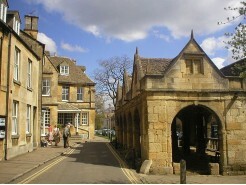 The Cotswold town of Tetbury provided the location for all external filming for the 1990s TV sitcom Grace and Favour, while primary filming was at nearby Chavenage House. The show was a spin-off from the hugely popular sitcom set in a department store Are You Being Served? which had ended in 1985. Creators Jeremy Lloyd and David Croft reunited many of the staff of the defunct Grace Brothers - including Mollie Sugden, Frank Thornton, John Inman and Wendy Richard - to run a rural hotel. Twelve episodes of Grace and Favour were broadcast from January 1992 to February 1993. 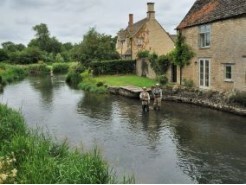 Chavenage, the historic Elizabethan manor, is perhaps the Cotswolds location that has been used for filming more television and big screen productions than any other. Pretty much unaltered for the last 400 years, Chavenage is probably best known as Candleford Manor in the popular TV series Larkrise to Candleford. The manor house is also well known as being haunted and provided the setting for a host of spooky productions such as the Christmas TV ghost story The Ghost of Greville Lodge (2000) starring George Cole and Prunella Scales, and the 2006 TV film Dracula featuring Marc Warren and David Suchet. 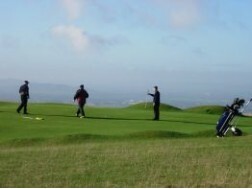 Broadway Tower, the second highest point in the Cotswolds, has been featured in a number of television series including Interceptor, Sherlock Holmes and The Gemini Factor. 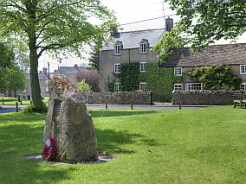 Just a few miles from Broadway, the picturesque village of Stanton was another location used for filming a 1993 episode of the ITV series Sherlock Holmes series starring the late Jeremy Brett. For a number of years in the 1980s, the motel used in the TV soap Crossroads was The Golden Valley Hotel in Cheltenham. The popular soap, which ran on and off on ITV from 1964-2003, was set in a fictional motel in the Midlands, and became a byword for cheap production values. 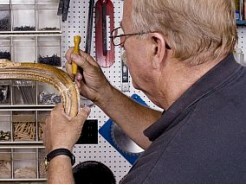 Despite this, the series regularly attracted huge audiences during this time, with ratings as high as 15 million viewers. After the in-story destruction of the motel by fire, the revamped motel was filmed from 1982 for a few years at Cheltenham's Golden Valley Hotel (now the Thistle Hotel Cheltenham) which was felt to be the perfect location for the Crossroads Motel. 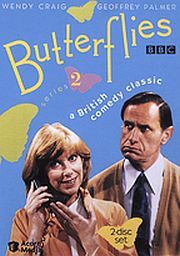 The hit TV sitcom Butterflies, written by Carla Lane and broadcast on BBC2 from 1978-83, was largely filmed in Cheltenham. The show starred Wendy Craig as frustrated 'stay at home' housewife Ria Parkinson and Geoffrey Palmer as her reserved dentist husband, Ben. 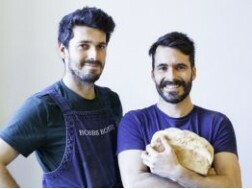 Their youngest son, Adam, was played by a youthful Nicholas Lyndhurst. 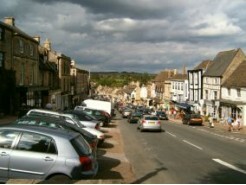 Many of the exterior scenes were filmed in Cheltenham, including the High Street, Montpellier and Hatherley Park. Exterior shots for the Parkinson house were filmed at 30 Bournside Road in Up Hatherley, Cheltenham. 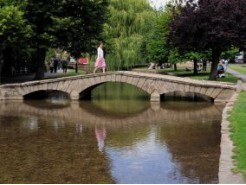 Other Cheltenham locations featured included Pittville Park, Imperial Gardens, High Street, The Promenade and Montpellier. Cheltenham was also chosen as the location to film many exterior shots for the classic 1970s sitcom The Fall and Rise of Reginald Perrin. 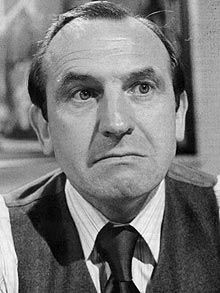 The programme, which developed into a sitcom out of the novels by David Nobbs, starred Leonard Rossiter in the title role. If followed the antics of Reggie Perrin, a middle-aged middle manager, who was driven to bizarre behaviour by the pointlessness of his job at Sunshine Desserts. Cheltenham's historic clothing store The Famous featured in the BBC sitcom Next of Kin, starring Penelope Keith, William Gaunt and Ann Gosling, which ran from 1995-1997. 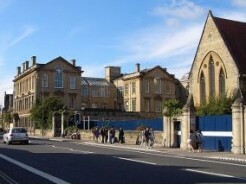 Several Cheltenham locations are used in the filming of the dark British comedy about a couple who become legal guardians of their three grandchildren whose parents are both killed in a car crash. 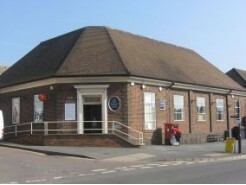 The main house was in Tivoli Road, while St James' Primary School in Merestones Road, Cheltenham, and Beechwood Place in the High Street are also used. 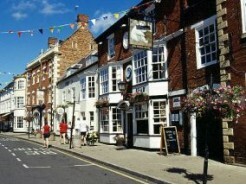 The Famous store, which traded at 208 High Street for 126 years before relocating in 2013, also features in the show. Three Up, Two Down, the British sitcom starring Michael Elphick and Angela Thorne as stubborn widows, included scenes filmed in Cheltenham. 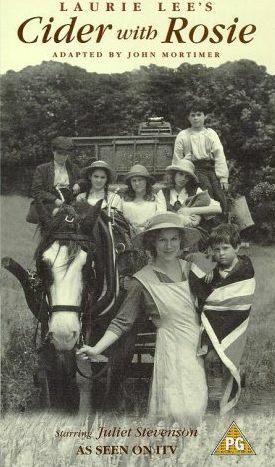 Elphick played Sam, a Cockney, while Thorne played Cheltenham-bred Daphne who had not forgiven her daughter for marrying Nick, a 'common' photographer. Both Sam and Daphne are widowed, and stubborn. 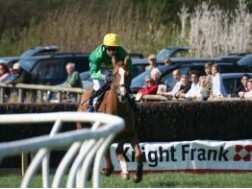 The show ran for 25 episodes from 1985 to 1989, with the final episode simply entitled Cheltenham. 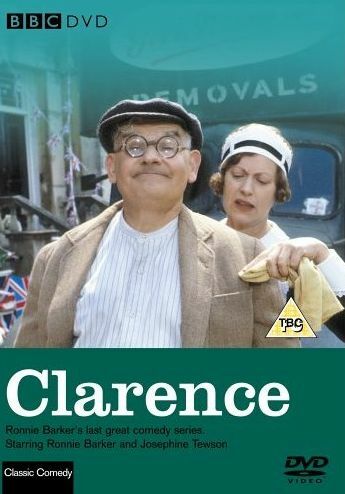 In 1988, Ronnie Barker's final TV series before he retired to Chipping Norton - the adventures of a short-sighted removal man - was filmed in Lansdown Crescent, Cheltenham. 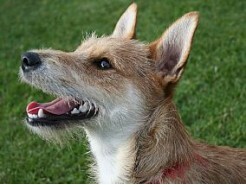 Clarence, which was written by the legendary comedian under the pseudonym Bob Ferris, saw Barker play alongside Jane Travers (Josephine Tewson) in six half-hour episodes. 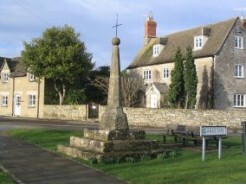 The Oxfordshire village of Bampton, a few miles south of Witney, is the location for the village scenes in Julian Fellowes' hugely popular TV drama Downton Abbey. 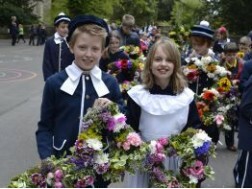 St Mary's Church in Bampton has hosted a number of dramatic 'Downton' events. 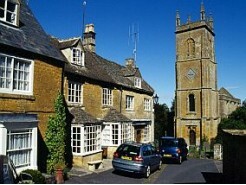 Various cottages in the village have also been used as pubs, shops and the post office, while the old Grammar School building has served as 'Downton Hospital'. Another of the most popular TV shows of recent years - the BBC series Sherlock - has been filmed at locations in Gloucestershire. 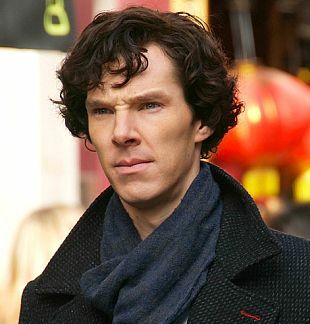 In 2014, the New Year's Day episode involved stars Benedict Cumberbatch and Martin Freeman in a crucial scene that had been shot at The Daffodil restaurant in Cheltenham over two days the previous April. 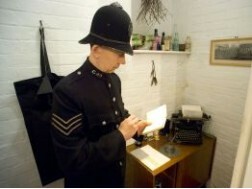 Staff at The Daffodil acted in the background as Sherlock (Cumberbatch) was reunited with Dr John Watson (Freeman) after the previous series had seen Sherlock seemingly plunge to his death from a London rooftop. 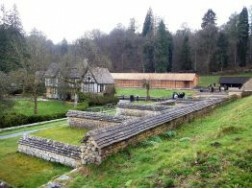 The final episode of the 2014 series of Sherlock featured the futuristic Swinhay House, near North Nibley, a couple of miles from Wotton-under-Edge. 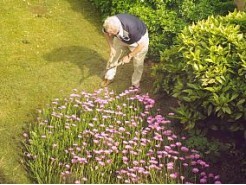 The spiral-designed house is the home of Sir David McMurtry, founder of the engineering firm Renishaw plc. The dramatic finale to the Sherlock episode saw the detective polish off fictional newspaper magnate Charles Magnussen at a stunning modern-day mansion. 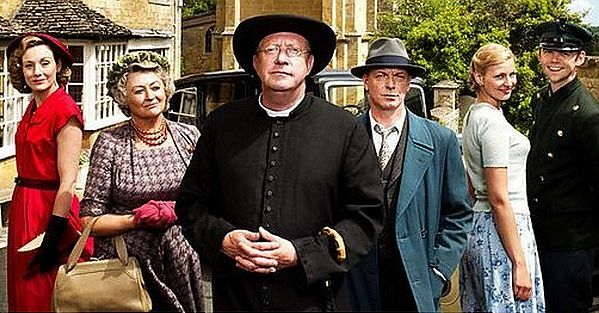 Father Brown, the popular TV mystery drama set in the 1950s, is based in the fictional Cotswold village of Kembleford but uses a number of Cotswold locations for filming. The show, which began airing on BBC One in 2013, stars Mark Williams as the eponymous crime-solving Roman Catholic priest. 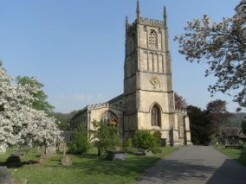 The parish church and vicarage of St Peter and St Paul in Blockley have been widely utilised, while filming has also taken place in Winchcombe, Upper Slaughter, Kemerton, Ilmington, Sudeley Castle and at Winchcombe railway station on the heritage Gloucestershire Warwickshire Railway. 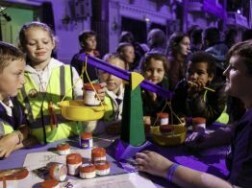 Brum, a little yellow car that was the star of a BBC children's TV programme, has his regular home at the Cotswold Motoring Museum in Bourton-on-the-Water. 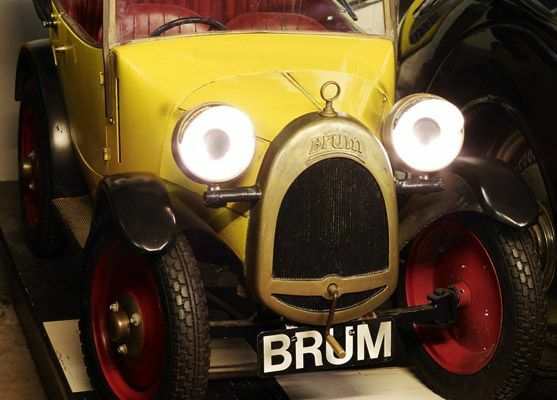 In each episode of the show, Brum starts his day in the museum, then sneaks out to visit the "Big Town" (Birmingham) to find adventure, before returning home to the museum. The TV programme, narrated by Toyah Wilcox and Tom Wright, ran for 78 10-minute episodes, which were broadcast between 1991 and 2002. 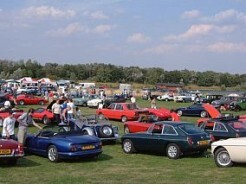 The 'super hero' model car used in the show is kept on display at the Cotswold Motoring Museum when not in use. 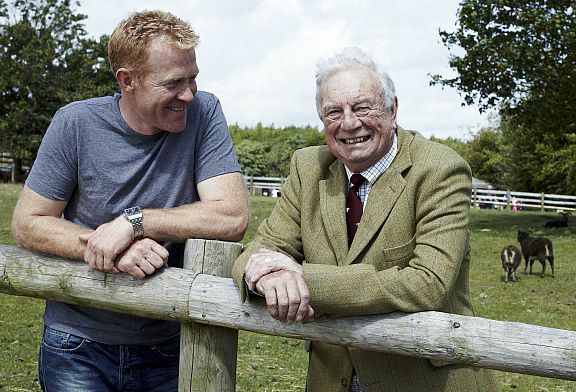 One of the Cotswolds' best known faces on television is that of Adam Henson who, when he is not running the Cotswold Farm Park, is helping to present the BBC's popular Sunday evening programme Countryfile. 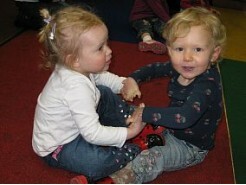 Adam's father Joe Henson opened the farm park at Bemborough Farm, near Guiting Power, in 1971 when Adam was a small boy. In 1999, Henson junior took charge. 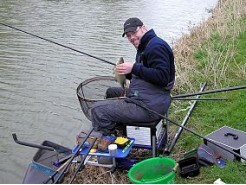 Adam, who was born in 1966, broke into television work in 2001 when he gained a presenting position on Countryfile. 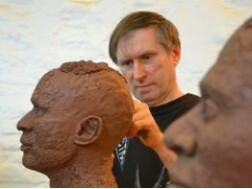 Since this time he has worked on programmes such as Countryfile Summer Diaries and Inside Out. Due to his extensive farming knowledge, he has also worked on BBC Radio 4’s On Your Farm and Farming Today, and co-presented Lambing Live with Kate Humble. 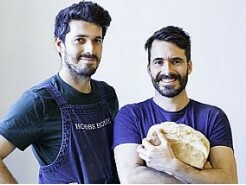 He now has a wider presenting portfolio, which has included BBC's Gardener's World Live in 2010 and in 2013 he starred alongside Nigel Slater on BBC's Nigel and Adam's Farm Kitchen. 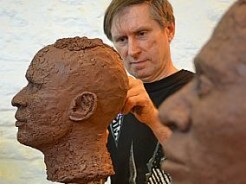 The Henson family has a strong pedigree when it comes to appearing on TV. Adam's farmer father Joe Henson presented a countryside TV programme with Angela Rippon and Phil Drabble; while his actor uncle Nicky Henson has appeared in films and TV programmes including Fawlty Towers and Inspector Morse. Adam's grandfather Leslie Henson was a music hall and musical comedy comedian and actor. 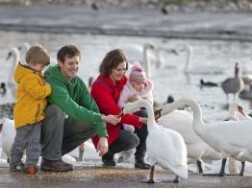 The Cotswold Farm Park has also provided animals for various productions, including the 1995 historical movie Braveheart starring Mel Gibson, Emma (1996) and TV shows including Time Team and David Attenborough's natural history programmes. 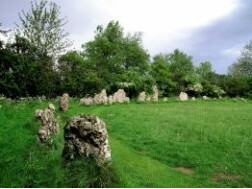 It seems that the beautiful Cotswolds will continue to be a popular place to film television programmes of all descriptions. February 2015 saw the UK premiere of The Casual Vacancy, a TV mini-series based on the novel of the same title by J. K. Rowling. 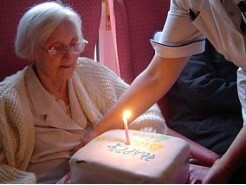 The stellar cast includes Julia McKenzie, Rory Kinnear, Keeley Hawes and Michael Gambon. 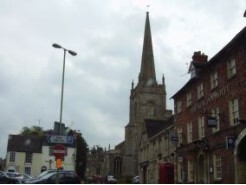 The plot centres on Pagford, a seemingly idyllic English village, but behind its pretty façade, is a town at war. 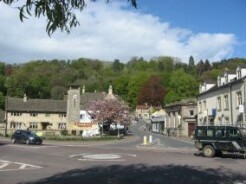 Filming for the mini-series, which was also shown in the USA, took place in a number of Cotswold locations including Painswick, Northleach, Minchinhampton and Stroud.